Sometimes I get scared. I get butterflies jostling around or a rock sitting in the pit of my stomach. It can even get so bad that my hands shake a little. This happens when I’m walking the tightrope, maybe I just stepped a little off the tightrope, falling a bit into the abyss beyond. But always I find my way back on, comfortable again and butterfly-less. The next day, I find a new challenge that pushes me off the tightrope again. No, I am not learning to be a trapeze artist with EWB in Ghana. 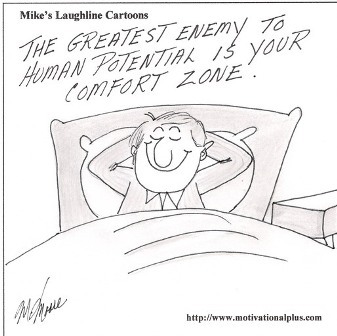 The tightrope that I’m talking about is the one that outlines your comfort zone. Never heard of it? Then maybe you haven’t (yet) gone through EWB’s pre-departure training, so let me explain. When you’re within your comfort zone, you are typically in a space and doing actions that you are familiar with, utilizing skills and leveraging knowledge that you already had. When you’re outside of your comfort zone, your cozy bubble of experience, you don’t necessarily have the skills or knowledge to know how to act and what to do. You are ‘uncomfortable’. This is often scary. If you’re not careful, being too far outside your comfort zone can also be demotivating, you can even give up, thinking that you are not capable, that you don’t have what it takes. That’s where the tightrope comes in. The tightrope is a balance between the inside and outside of your comfort zone. It’s the learning zone, the place where all the magic happens. You’ve pushed yourself far enough outside of your comfort zone to be learning and trying new things, developing new skills and building new relationships. But you haven’t pushed yourself so far that you are demotivated and want to give up. 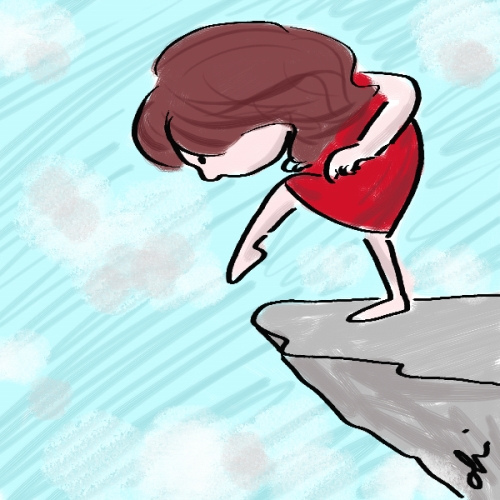 The tightrope is not easy, it can be a bit wobbly and it can definitely be a bit scary. But soon enough you’ll have mastered that new idea or skill and be back in your comfort zone. Then it will be time to jump back on the tightrope again. Before you know it, your comfort zone is way bigger than you ever expected it to be and you have more skills and knowledge than you ever thought you could. Today I am writing from Ejura Agricultural College. The first time I took the Trotro here from Kumasi was my first day on my own as an EWB African Program Staff and my first ‘consultancy’ visit to a college. Let me tell you, the butterflies were having a field day in my stomach. Today I am here for my third time and feel very at home and comfortable. I’ve had some productive meetings and really inspiring conversations today, but no nervous butterflies. Probably time for me to find a way to step off that tightrope again.